The American Dental Political Action Committee, or ADPAC, is the legislative arm of the ADA. This is the primary way in which dentists across the country can work with representatives in Washington D.C. to lobby for bills that are important to our profession. ADPAC elects congressional candidates who understand the importance of dentistry. They then help the legislators by funding their campaign, providing opportunities for campaign promotion, and educating legislators about the current events affecting our field. Donations from dentists and dental students help fund these efforts. Even though dental school feels like an eternity, you will be out in the real world before you know it! The legislative process can take years before it is complete, and legislation that we encourage now may not be complete until after you're out of school. Therefore, these issues we are working on now may affect you in the future as a dentist. ADPAC advocates for legislation regarding student loan debt as well, which is something we would all like to see improve. For $5 you can become a member of ADPAC as a student! Please Venmo @UABASDA-Treasurer and fill out this GOOGLE DOC to sign up! We are doing this drive in conjunction with our first ever Advocacy Week which will offer two great Lunch and Learns and an evening event called Red Wine and Brews. These events are open to anyone! 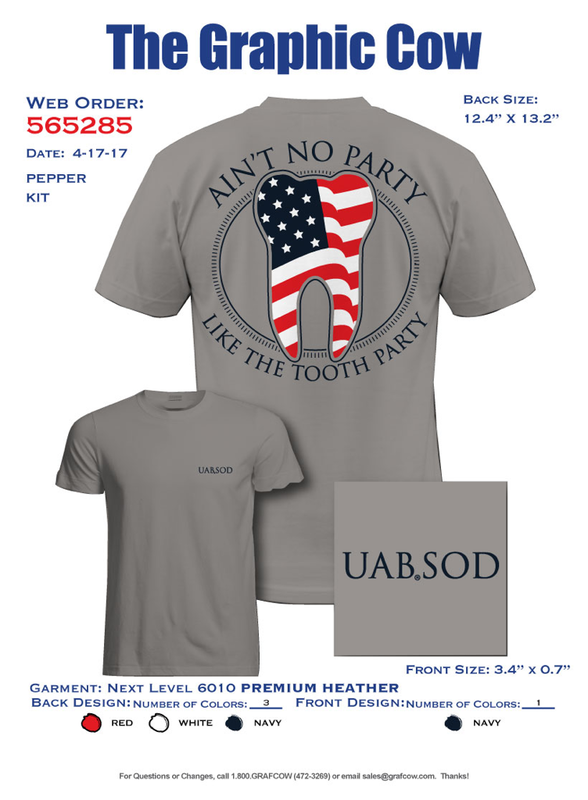 Finally, we are selling the official t-shirt for the Tooth Party! You can buy the shirt alone for $18, but for ADPAC members we are offering the for just $15! Sign up on the GOOGLE DOC as well!